nVision 2016.2 is ready, the new release of the easy-to-use and graphically programmable machine vision software. 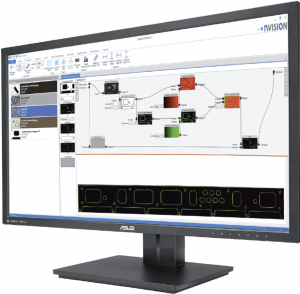 Using nVision you can create machine vision applications by applying simple tools very quickly, and when needed you can resort to the built-in graphical programming for extended flexibility. Among the many imporvements in the new version, I’d like to point out support of CoaXPress, TCP/IP communication and the execution of multiple parallel pipelines. CoaXPress is a camera interface that is capable to transfer 25 Gb per second via 4 coaxial cables over 100 m. nVision supports the Firebird framegrabbers of Active Silicon and can control – via GenICam – all features of the framegrabber and the camera. Several cameras from JAI have been tested. nVision can communicate via TCP/IP with other devices, such as a controlling PC or a PLC. nVision takes either the passive server role or can act as an active client. A machine vision solution doesn’t exist on an island, but has to integrate itself nicely into the sourrounding. nVision succeeds here with its communication features. Since nVision executes pipelines in their own threads, it was not too far to support parallel execution of pipelines. With parallel pipelines you can use several cameras in one application, or you can split big applications in modules that run independently. 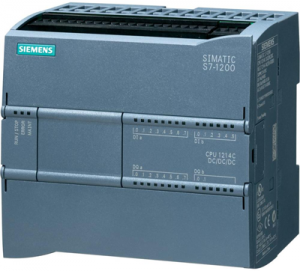 Sychronisation and communication between parallel pipelines complete the picture and allow coupling. If image processing or machine vision are part of your tasks, you should have a look at the modern approach of nVision you solve your vision tasks faster and it saves your money! Read more on our website www.impuls-imaging.com or request an evaluation version. We are convinced that you will immediately benefit from using nVision. Check out nVision now!